Quite often throughout the school year I stay behind with our school-aged daughters while my husband, Chresten, and his associate travel for our evangelistic ministry. This past Sunday I enjoyed a wonderful message from our local church’s pastor and was called upon to pray with those who gathered at the altar following the sermon. The call of response was based upon the general makeup of the message he preached, as the pastor asked for those who had anxieties or life hurdles that they, much like the mother-to-be of Jesus, Mary, faced during her months of pregnancy. My heart leaped within me. “Wonderful! You couldn’t be in a better place today!”, I said boldly to this precious, honest-hearted woman. After I learned more about Brenda’s story, I realized she had known about the Lord Jesus Christ, but she did not know Him. “You are about to receive the greatest gift you’ve ever received! It’s like a ‘life reset button’!”, I encouraged her. I explained to Brenda how learning to trust Jesus is just like learning to trust anyone else here on earth in a relationship. We all have a tendency to trust a person based on how well we know him or her. As the relationship progresses and grows, our trust that he or she will do what they say is either proven or destroyed by their choices and actions…by what we come to know about them. So it is with the Lord: the more we know Him, the better we can trust Him. Brenda and I prayed that day together. 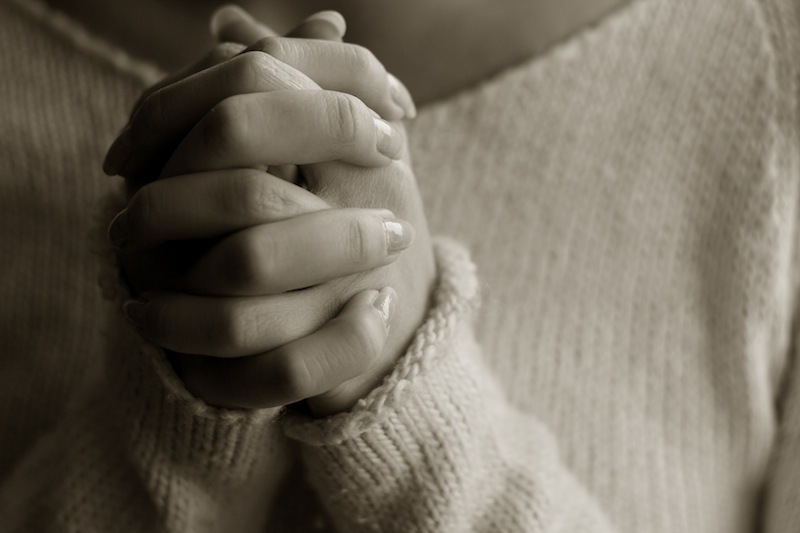 She asked Jesus to cleanse her heart from sin–from evil in her heart–and to forgive her. Then, Brenda surrendered her life to follow Jesus and to make Him the Lord of her life. We asked God to grant her peace, love, and grace for the walk ahead of her. And we told God how much we loved Him and needed Him in our lives. And when it was all said and done, Brenda walked away from that church with a freshness about her and a tremendous load lifted off of her shoulders. She said she had a Bible of her own and I encouraged her to begin reading from the book of John so she could learn more about this amazing Jesus Who had just changed her life’s course. As I got into my car following that service and began to drive to our lunch destination, I rolled over that wonderful experience in my mind. And the thought popped into my head: what would have happened in Brenda’s life had she not been willing to step forward and just say those four crucial words? “I am a sinner.” We don’t like to own such words, do we? Kind of like we don’t want to own other truths like “I am addicted” or “I hate her”, even “I can’t forgive him” or “I am depressed”. Take that to the other side. What if we never give people an opportunity to see things as they really are? Will they get the help they need? Will they find Eternal Truth to save their souls and free them from heavy weights they drag about each day? Far too often the Church, and even the believer in his or her local sphere of influence, wants to dismiss the reality and gravity of a situation out of fear that we might offend or overstep those invisible boundaries. What if we let people OWN their reality so they could get rid of it by the Blood of Jesus? We are not celebrating sin when we open the door for anyone to admit he is a sinner. And we can’t assume that because we have seen her in the church house that she has surrendered her life to the One Who paid the ultimate price for her freedom. Let every heart prepare Him room. 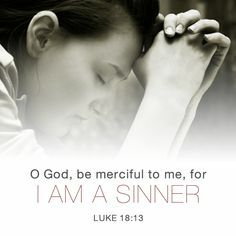 Much like a ‘hello’, salvation at the Cross begins with the beautiful introduction: I am a sinner. *The name of this individual has been changed to protect her privacy.